Nuts have had a roller coaster reputation. Once upon a time, nuts were held in high esteem. Romans considered nuts food for the gods. Incas made pots in the shape of highly prized peanuts. Walnuts were used to treat head ailments in Renaissance days, given their similarity to the brain. More recent decades have shunned nuts, fearing their high fat content and potential for weight gain. But all fats are not created equal; with new research on the rise, the lowly nut may well be at the top of your grocery list of health-promoting staples. Many studies from around the world have found that people who eat nuts on a regular basis can cut their risk of heart disease by up to half. A small handful of walnuts or almonds, about 1 to 3 ounces, can help lower high blood cholesterol levels and other blood factors linked to heart disease. A major study that tracked thousands of nurses found that those who ate just an ounce of nuts or peanut butter 5 times a week, lowered their risk of Type 2 diabetes by at least 20%. It appears as though plant fats have plenty of health benefits. Nuts come from plants so they're cholesterol-free. Their mono and polyunsaturated fats help lower cholesterol when substituted for more saturated, animal fats. High folate and B vitamin levels may help lower blood homocysteine levels, reducing heart disease risk. Valuable potassium, magnesium and copper are all linked to heart health. The antioxidant Vitamin E may also be heart protective. The dietary fibre in nuts helps manage blood sugar levels, lowers cholesterol and benefits colon health. A variety of healthy plant substances provide additional antioxidant and cholesterol-lowering benefits. Nuts have more in common than not. They are one of the best plant sources of protein despite being high in calories and unsaturated fat. A few differences set some apart from others. Walnuts are highest in omega-3 fatty acids (also found in red fatty fish), popular for helping lower cholesterol. Almonds are a great source of bone-building calcium. Brazil nuts are high in the antioxidant selenium, linked to helping prevent some cancers. Chestnuts have the least calories and fat, while macadamia nuts have the most. Dry-roasted nuts have the same fat and calories as oil-roasted. Nut butters have the same nutritional advantages as nuts. Peanuts are similar to other nuts nutritionally, but are part of the legume family, which includes dried beans and peas. Fortunately the high fat content of nuts makes them very filling, helping curb hunger for long periods of time. An ounce or two a day of nuts or nut butters is all you need for valuable health benefits. Instead of using nuts as a snack where you might be tempted to go beyond 1-2 ounces, incorporate nuts into meals: add chopped nuts to fruit or vegetable salads, yogurt, oatmeal, dry cereals, muffins or loaves, pancakes, stir fries, rice dishes or even chicken salad. Health experts recommend we enjoy at least 2 plant-based, vegetarian meals per week. Hopefully nuts will find a place in your home. 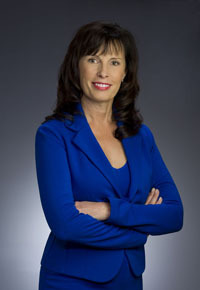 Anita Romaniw is a Community Nutritionist with Fraser Health Authority. She can be reached at 604-864-3400.